Swys de Bruin says he was furious when the Lions trailed the Rebels by 21 points at the break, before staging a remarkable comeback to win 36-33. 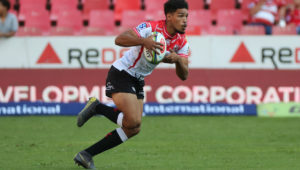 The Lions trailed 26-5 at Ellis Park after a wretched first half blighted by errors. They conceded another try early in the second half to go 33-5 down, before roaring back into the contest with four tries. 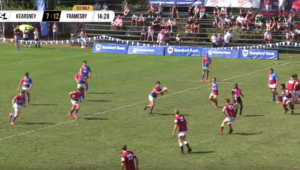 A last-gasp penalty from replacement Gianni Lombard then turned the result in their favour. 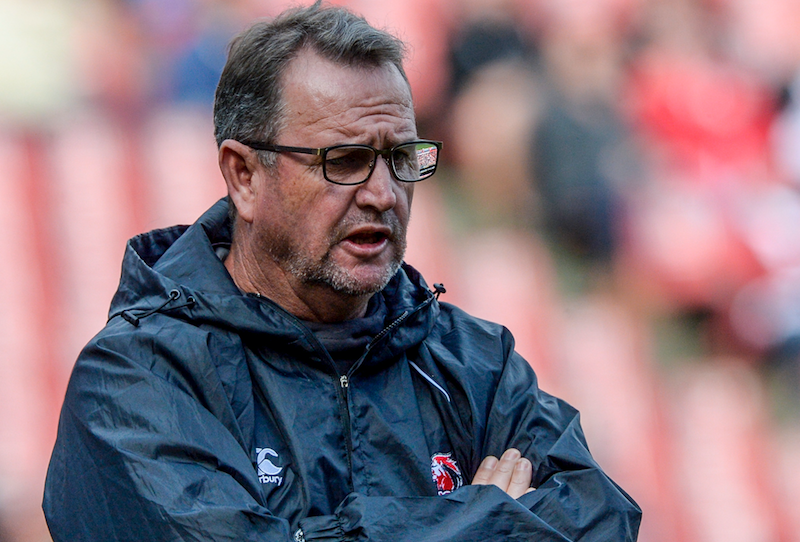 De Bruin said the turnaround was in part thanks to a few harsh words from him to the players at half-time. ‘Walking into that change room, I was in a flat spin. I don’t think I’ve ever lost it like that before at half-time. I really lost it because I know how good these guys can be and they were not. ‘There were one or two words that came out badly and I’m sorry about that. But in hindsight, it was maybe time to lay the marker down for once because that first half wasn’t good enough. But there’s a process we follow in the change room, so I had to calm down; everyone calmed down. De Bruin praised his team’s character, saying the youngsters and the more experienced players all played a vital role. ‘I’m very blessed and happy because those bunch of youngsters had to dig deep. When I pulled Elton Jantjies, I knew it could come down to a pressure kick. 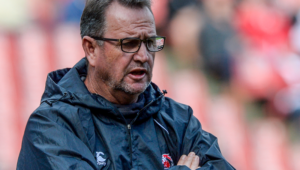 [Backline coach] Neil de Bruin sat next to me and he said he backed Gianni to step up and slot one if it came to that. Stars are made for big moments and to slot that kick there, maybe Gianni is a future star. Tyrone Green is also an exciting prospect. 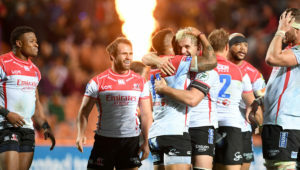 The Lions, though, almost made a mess of it as they turned down three kickable penalties in the final 10 minutes and failed to score a try. De Bruin is adamant he would have shouldered the blame had they gone on to draw the game. ‘We rolled the dice, because field possession was vital. But if we’d lost that game, I’d have been the guilty party because I said play. That we got that last scrum was a miracle on its own.